Google's upcoming Pixel 3 and Pixel 3 XL have leaked so much already that there haven't been many details left unknown. And now you can pretty much scratch another one off the list - the color versions. It shows outlines of phones with three separate backgrounds, and the fact that those are two-tone is what gives it away. The new Pixels will keep that look on the back even if they're expected to have all-glass rears, unlike their predecessors which mixed glass with aluminum. 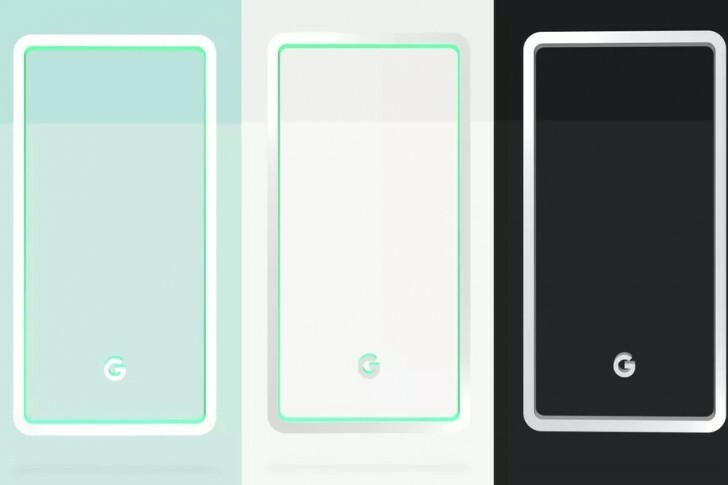 The white model having a mint outline may imply you should expect another mint-colored power button. Obviously this is speculation, but it seems pretty logical for Google to go this way. And to tease its phones' colors in such a manner. easy easy, i'm not even talking to you! If I can, then why would not I make my own. that is why I don't complain on how manufacturers release their phone. easier talk than do it anyway, why don't you started it first?